One of my favorite aspects of being a developer is that coding is always evolving. It may make it hard sometimes, but the new technologies allow us to do things much easier. Now adding animations – something that would’ve taken plugins, flash skills, and lots of time – can be done in a minute or two. 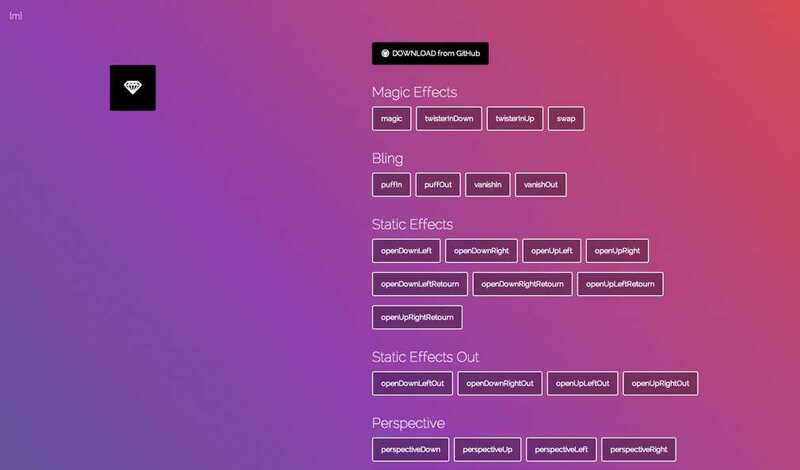 Today’s Freebie Friday is Magic Animations CSS3 library to help you animate! Magic Animations CSS3 library was made by an artist named Christian Pucci better know as miniMAC. You can head over to the Magic Animations demo page to see the rest or to miniMAC’s GitHub to grab the download. What do you think of the Magic Animations CSS3 library? What type of freebies would you like to see posted on ThinkDope? Let me know in the comments below!